All hail the DAF! The DAF 600 set the world on fire in 1958, introducing several clever design features, but more importantly – the world’s first CVT! A good forty years before CVTs became popular in mainstream vehicles, DAF was blazing the trail with a transmission that had no gears. The CVT, or continuously variable transmission, operated on a belt that would infinitely adjust the transmission ratio to keep the engine in the power band whenever it was needed, and reduce the engine revs for maximum economy when the power wasn’t called for. 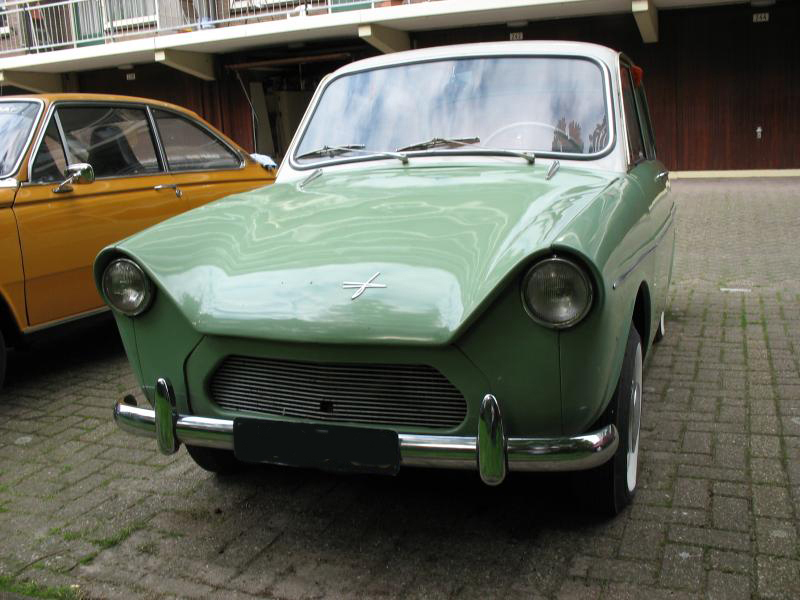 A brilliant design that can now be found in trucks, sedans, sports cars, and hybrids, owning a DAF is truly owning a notable piece of car history. We love driving and admiring classic cars, but we also enjoying writing about them and sharing them. In this spirit, we’ve brought you ‘classic times’, our very own bi-monthly publication featuring Condon Skelly news, event listings, tips from insurance experts and hilarious stories from owners. We care about more than just classic car insurance – we aim to share the enjoyment of classic car ownership with everyone. Click here to read the most recent newsletters and sign-up to receive them as they’re released! 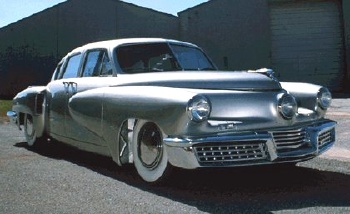 The ’48 Tucker Torped0, also known as the Tucker Sedan. Only 51 copies were sold before a number of factors shuttered the Tucker factory, but the car still stood as a grand symbol of the time. An aspirational time for America – it was certainly a car with lofty aspirations of its own. Its enormous 589 cubic inch engine was daring, as was the styling, but the true innovation lay in the various and unique engineering concepts. The Torpedo was rear-engined, rear wheel drive, and had a third headlight in the middle of the vehicle that swiveled to illuminate the road when turning. Further, the vehicle was available with an automatic transmission, had a number of passive safety features, and had the gas tank up front. All of these coalesced into a brilliant design that would have revolutionized the auto industry, were the brand not put to death by circumstance and conspirators, namely the big three in Detroit.